In case you missed it, the biggest news of the week is the announcement of Whisky of the Year, along with the reveal of the full Top 20 whiskies of 2018. Get on over to the list to read up on why these are the most exciting bottles of the year. Meanwhile, there are tons of new whiskies to look forward to, some of which are hitting shelves right now. 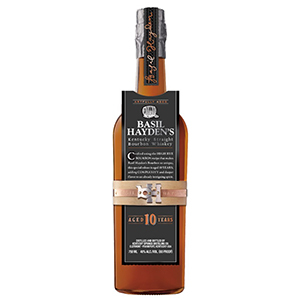 First up, Basil Hayden’s has released its first age-statement bourbon, a 10 year old. The whiskey will be for sale in limited amounts for $60, and will return in future holiday seasons. 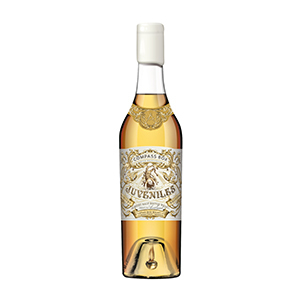 Compass Box has two new releases coming out: Juveniles is a blended malt made in partnership with a Paris wine bar and features a whimsical bell on the bottle. Nearly 15,000 bottles are available for $150 each. Compass Box Stranger & Stranger isn’t technically a whisky—it includes a very small amount of grain spirit that doesn’t meet the 3-year minimum aging requirement for scotch—but the company is betting few drinkers will mind. Around 4,000 bottles of the spirit are available, going on sale in the U.S. in March 2019 for $199. High West has unveiled a new recipe for its Campfire whiskey, which was number 14 on the 2017 Top 20 list. The blend of bourbon, scotch, and rye now includes rye made at High West Distillery, in addition to sourced whiskies. The price ($65), packaging, and wide availability remain the same. Virginia Distillery Co.—whose Cider Cask Finished blended malt whisky sits at number 13 in the 2018 Top 20—is rolling out two limited-edition single casks. Virginia Distillery Co. Journey Cask Collection Hibernia ($125) is an Irish single malt that honors the distillery founder’s close ties with John Teeling of Ireland’s Great Northern Distilling. It’s the first in a series of single malts sourced from around the world that commemorate people and places significant to the distillery. Meanwhile, the Scotch Trooper Cask ($69) is a single-cask Virginia-Highland whisky selected by Instagrammer Brett Ferencz, aka Scotch Trooper. Both whiskies are for sale at the distillery and online. Delaware’s Dogfish Head—better known for its beer—has unveiled its first whiskey, made from specialty malts and the brewery’s own proprietary yeast and aged in the distillery’s ex-rum barrels. 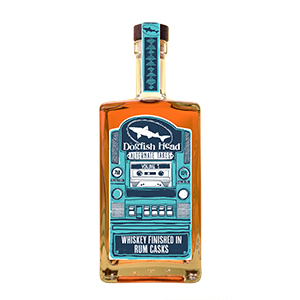 Dogfish Head Alternate Takes: Volume 1, Whiskey Finished in Rum Casks is $45 and available in the Mid-Atlantic in limited amounts. 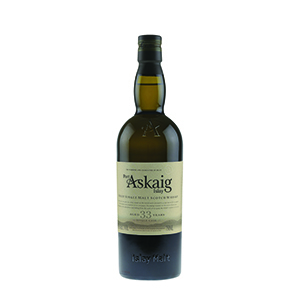 The Port Askaig single malt brand has a new 33 year old single cask, sourced from the distillery north of Port Askaig on Islay. 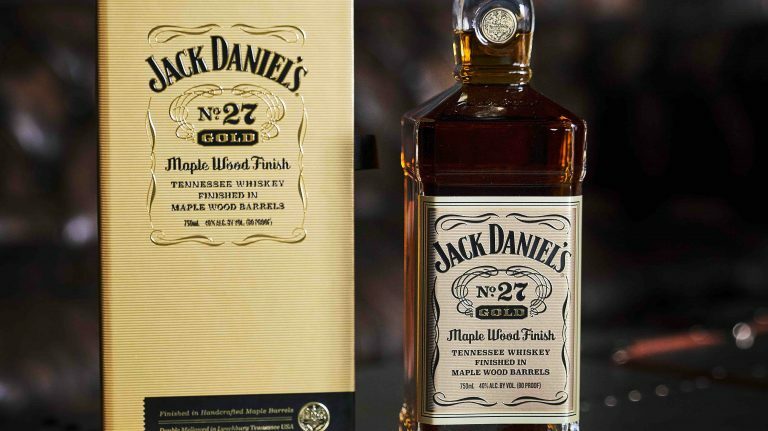 Just 115 bottles are available for $800 each, with all of them coming to the U.S. exclusively. Florida’s St. Augustine Distillery is releasing two new whiskeys, including a 3 year old straight bourbon ($50) that will become its new flagship, available in Florida, Georgia, and Pennsylvania. The other whiskey, called The Saint ($199), is 3 year old bourbon finished in barrels that previously held the distillery’s Old Fashioned mix. It is highly limited and sold at the distillery only. A new bourbon from California is launching. 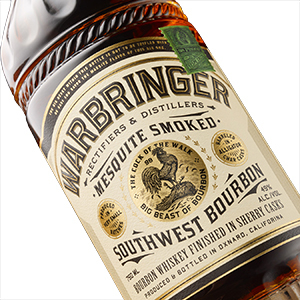 Warbringer is distilled in Oxnard, California, using rye and mesquite-smoked corn. It costs $55 and is for sale in-state and online. 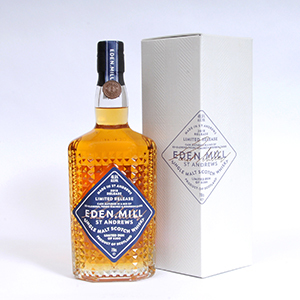 Finally, Eden Mill Distillery in St. Andrews, Scotland has unveiled its second single malt. The 2018 release costs £79 and is available in the UK only. The oldest expression of Basil Hayden’s ever released, this bourbon was aged for 10 years. It will be available in limited amounts annually around the holidays. Basil Hayden’s has been on a tear with limited-edition releases over the last couple of years, but this is its first age-statement whiskey. Look for a review in an upcoming issue of Whisky Advocate! Compass Box has made several custom whiskies for Paris wine bar Juveniles Bistrot à Vins. Now the two companies have collaborated to create this limited-edition blended malt that includes whiskies from the Strathmill, Balmenach, Clynelish, and Glendullan distilleries. The bottle has a small bell in the punt that jingles every time the whisky is poured; it’s a nod to the jester (who wears jingle-bell shoes) that adorns every label of Compass Box’s Juveniles whiskies. Full information about the whisky’s recipe can be found on Compass Box’s website. A blend of 99% aged single malt scotch from the Linkwood, Glen Elgin, and Glenlossie distilleries, the remaining 1% of the liquid is grain spirit from Girvan Distillery that has been aged for a year in experimental American oak barrels. In Scotland, all whisky must be aged at least three years, so this blend is not considered to be a whisky (even though it tastes like one). Compass Box created the liquid in honor of the tenth anniversary of its partnership with design firm Stranger & Stranger, which makes all of the bottles and packaging for the company’s whiskies. This bottle features a specially embossed label that has a 3-D effect. 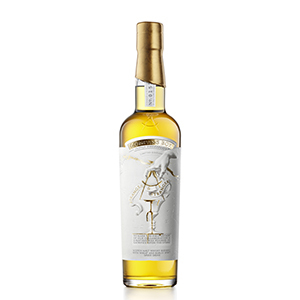 Full details about the whisky can be found on Compass Box’s website. 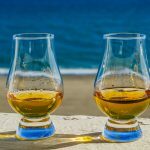 Compass Box whiskies are appealing primarily for their quality; the company has been blending some of the finest scotch whiskies for decades. (Just take a look at their scores.) But the Stranger & Stranger packaging—often highly artistic or just plain whimsical—is also part of the attraction, and clearly results from Compass Box’s close attention to every part of the whisky experience. Is it blasphemous to blend well-aged single malts with a spirit that doesn’t even count as whisky? Maybe to some—but in my opinion, it’s just one more way Compass Box is questioning the “rules” of what makes whisky whisky, something every whisky lover should explore. High West has reformulated the recipe for its Campfire whiskey to include rye made at its Utah distillery, along with rye and bourbon from MGP Distillery and blended malt scotch from an undisclosed source. This year, High West debuted its own whiskey across almost all of its products, starting with Double Rye!, which master distiller Brendan Coyle explained in-depth in a video. We were so impressed with the new blend that we ranked Double Rye! as number 14 in our 2018 Top 20. We’re looking forward to trying the new version of Campfire—especially since that whiskey was ranked on last year’s Top 20 list. Virginia Distillery Co. is launching a new series of single malts sourced from around the world that honors mentors—whether specific people, distilleries, or regions—that were inspirational to the company. The first release, Hibernia, comes from Great Northern Distilling in Ireland. That distillery’s founder, John Teeling, helped Virginia Distillery Co. founder George Moore get a scholarship to George Washington University and has remained a friend and mentor to Moore ever since. The whiskey is 11 years old and bottled at cask strength. Although Virginia Distillery Co. got the whiskey from Great Northern Distilling, it wasn’t made there, since that facility opened in 2014. But Great Northern founder John Teeling did make this whiskey—at his previous distillery, Cooley, which was acquired by spirits giant Beam in 2012. 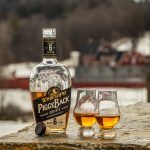 Virginia Distillery Co. has already identified the next two Journey casks it will release, both single malts aged at least 10 years. Purporting to be the first-ever “influencer cask,” this whisky was selected by Brett Ferencz, better known as Scotch Trooper. 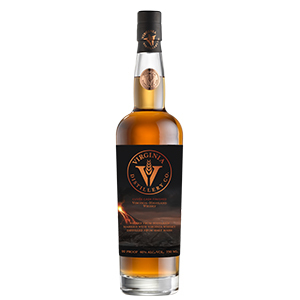 It’s a blend of single malt made by Virginia Distillery Co. and blended malt from the Highlands of Scotland; the whisky was finished in a cuvée wine cask. 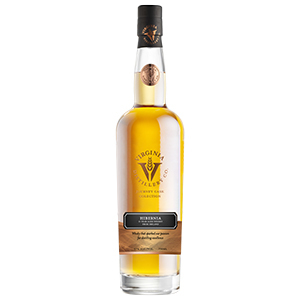 While waiting for its own single malt to fully age, Virginia Distillery Co. has been combining some of the young whiskey with Highlands blended malt to make what it calls Virginia-Highland whisky. We just named the Cider Cask Finished expression as number 13 on the 2018 Top 20 list. This distillery is doing impressive things, and all of its releases are ones to watch. Availability: 6,000 bottles; for sale in DE, MD, VA, and Washington, D.C. This is the first whiskey release from Delaware’s Dogfish Head, best known for its craft beers. 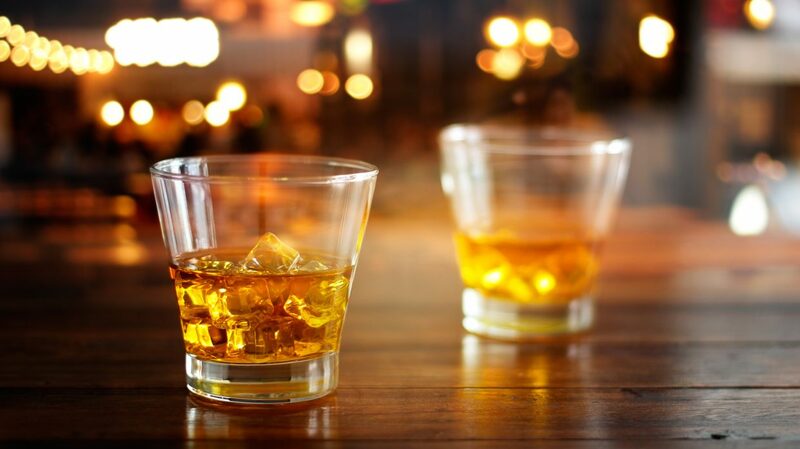 The whiskey is made from a variety of specialty malts, including crystal, coffee kiln, and applewood smoked malts. These are removed after mashing, and the wort is fermented with the brewery’s proprietary “Doggie” yeast, then double distilled in hybrid pot-column stills. 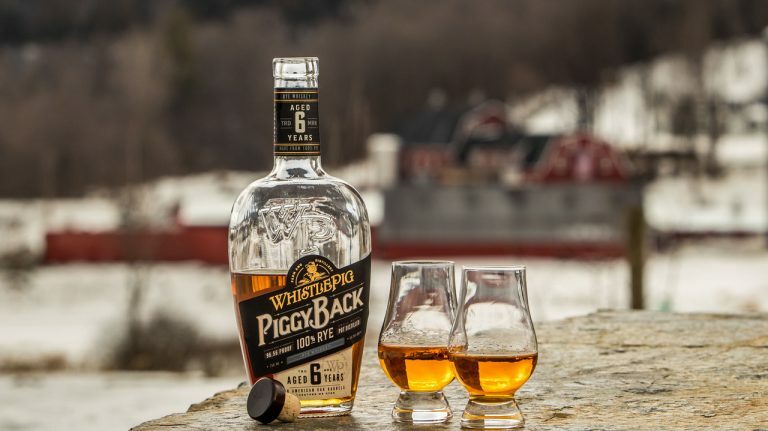 The whiskey is aged in new charred oak barrels for roughly 16 months, then finished for eight months in barrels that previously held Dogfish’s Barrel Honey Rum. Dogfish Head has been distilling for the last several years, and up to now has offered unaged spirits like gin and vodka, as well as aged rum and apple brandy. But it has also been aging whiskey all along, and that liquid is finally becoming ready. The Alternate Takes series will showcase unique spins on whiskey, with new releases once a year, usually around the holidays. Fans of the brewery are likely already familiar with founder Sam Calagione’s unorthodox, experimental, and sometimes zany beer endeavors; now we’ll get to see how that ethos plays out with whiskey. 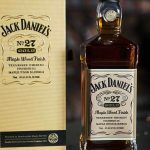 But Dogfish Head hasn’t ruled out releasing traditional styles of whiskey either—and we’ll likely see some of those come to light in the near future. Distilled in 1984, this single-cask whisky comes from an undisclosed Islay distillery—the same distillery source as Port Askaig’s 8 year old and 110 proof expressions. It was matured in a refill hogshead that yielded just 115 bottles, all available in the U.S. only. Bottled by Elixir Distillers, the Port Askaig brand often—though not always—sources whisky from the distillery located north of Port Askaig on Islay. (Google will reveal which one that is.) That distillery is, in fact, the source for this 33 year old. At $800, it doesn’t come cheap, but still beats out younger whiskies that are priced similarly or higher, including Dalmore 25 year old ($1,500) and GlenDronach Grandeur Batch 9 ($750 and 24 years old). 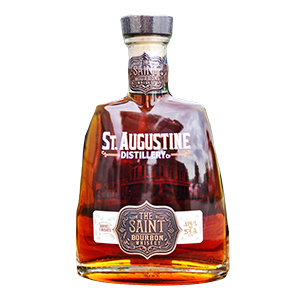 The first straight bourbon from Florida’s St. Augustine Distillery, this whiskey was aged for at least three years in 53-gallon new charred oak barrels. 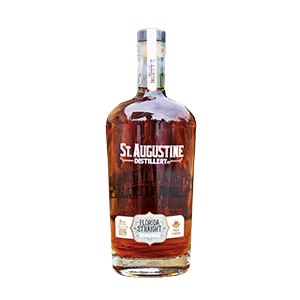 This is St. Augustine’s 3 year old bourbon that has been finished in barrels previously used to make the distillery’s Old Fashioned mix, which includes cane sugar, molasses, orange peel, and spices. When building its distillery and developing its whiskeys, St. Augustine worked with the late Dave Pickerell. At three years old, the new straight bourbon is replacing St. Augustine’s Double Cask as the flagship whiskey. The distillery also makes rum, vodka, and gin. Made with mesquite-smoked corn as well as rye, this bourbon is distilled in Oxnard, California. 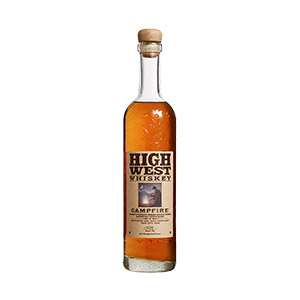 Several craft distillers have been making mesquite-smoked whiskeys in recent years, including Hamilton Distillers in Tucson (Whiskey Del Bac) and Santa Fe Spirits (Colkegan). (You can read an in-depth feature about American smoked whiskey in our Fall 2018 issue.) These have often been single malt whiskeys, rather than bourbons—so it’ll be interesting to taste the effect of mesquite smoke on corn instead of barley. Stay tuned for a review! Eden Mill Distillery, located in St. Andrews, has unveiled its second whisky release. 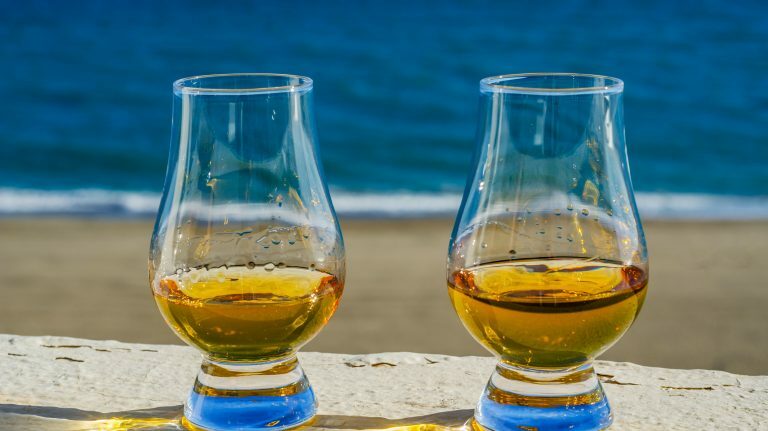 The whisky was made with Golden Promise and Propino barley and aged in first-fill ex-bourbon barrels, oloroso sherry hogsheads, and octaves (small casks, around 50 liters) that formerly held Pedro Ximénez sherry. One of Scotland’s newer distilleries, Eden Mill opened in 2014 and released its first single malts in 2017. Production is small, and the whisky is young, so availability is currently limited—but I hope to see bottles coming to the U.S. soon.